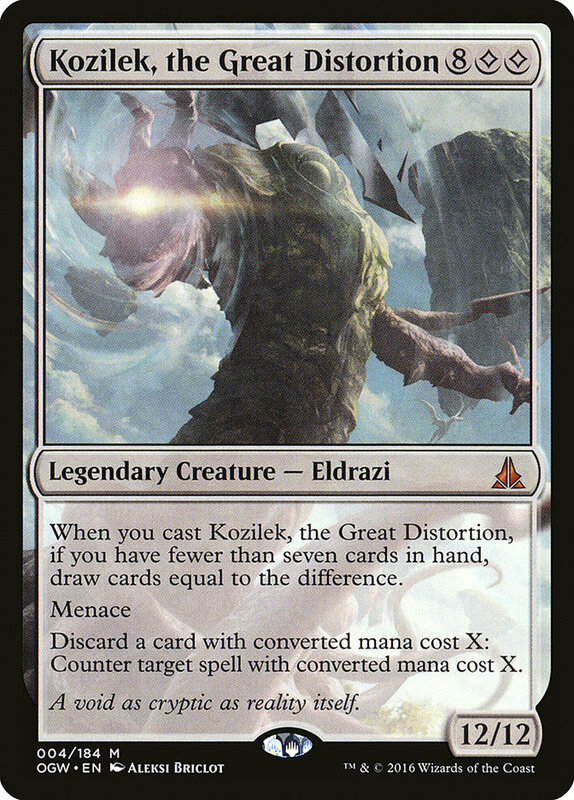 Kozilek, the Great Distortion at StarCityGames.com! Card Text: When you cast Kozilek, the Great Distortion, if you have fewer than seven cards in hand, draw cards equal to the difference. Oracle Text: When you cast this spell, if you have fewer than seven cards in hand, draw cards equal to the difference.